Hitachi was established in 1910 when it began producing its first product – a 5HP induction motor. From small beginnings, it has now grown into a multinational conglomerate company with its headquarters in Tokyo, Japan. It employs over 30,000 people and is involved in several sectors, including the manufacturing of power tools and industrial equipment. Other sectors include, batteries, financial services, IT, electronics, logistics, consumer products and more. It has a conservative range of chainsaws, but feedback online show them to be some of the best on the market. 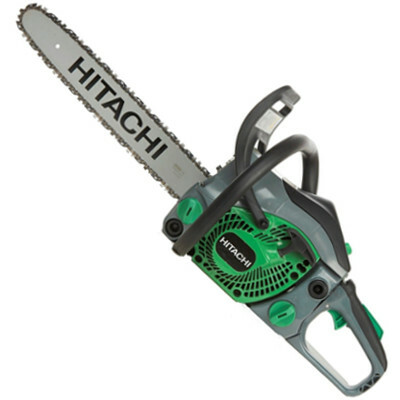 Hitachi have seven chainsaw models on the market – all branded and manufactured by Hitachi. Although they financially back other chainsaw manufacturers, they don’t include these in their own range. Their range cater to all markets. This includes homeowners in need of a low maintenance electric powered saw, through to professionals after a commercial grade or petrol powered arborist saw. Their gas powered saws are also known to be exceptionally reliable in comparison to other manufacturers, brands and models with similar specs. It has a powerful commercial grade engine. It produces very little emissions. It has quality safety features for safer use. There are problems keeping the chain on. The chain pump leaks oil. The instruction manual is in broken English. Dimensions: 12.2 x 10.24 x 17.32 inches. QWhat is its CC rating? QHow much horsepower does it have? QIs it top handle or rear handle? This petrol powered 16 inch chainsaw fits the bill in terms of reliability and efficiency. It’s packed full of safety features and has a powerful engine to get the job done right. It’s also very affordable, and is top rated on the market as a saw which can get general home maintenance completed well. For the price, you get a lot of bang for your buck, including a 7 year warranty. Check out what other people who purchased this product think about it. Read Hitachi CS33EB16 gas chainsaw reviews. The replacement parts don’t cost a lot. In comparison to other similar brands, it’s got a competitive price tag. It can be difficult to start. It requires a lot of maintenance with small parts needing replacing. QWhat is the fluid mix ratio? A50:1 mix using synthetic 2-cycle oil. If you require a bit more grunt with a bit less effort, you should certainly look into the Hitachi 18 inch chainsaw. This petrol powered machine glides through wood effortlessly and is generally a reliable machine. It’s top rated online and costs very little to maintain with its 7 year warranty for any faults. It’s also very affordable to buy and is packed full of features. 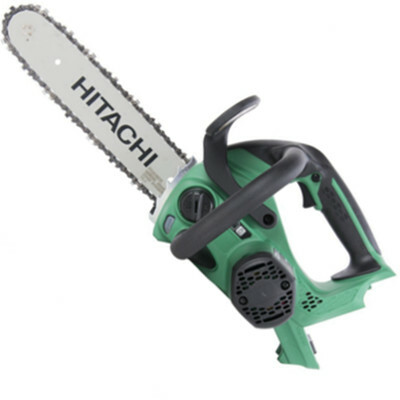 Most reviewers online believe this Hitachi saw is the best Hitachi chainsaw for the money. Check out what other people who purchased this product think about it. Read Hitachi CS40EA18 gas chainsaw reviews. It has the ability to do up to 1,400 cuts with a backpack battery. It has a top handle for easier use. You are limited in how long you can use it for because of the battery life. The batteries are not affordable. Dimensions: 12 x 1 x 1 inches. QWhat batteries does it use? A36V, 2.0 AH battery and charger kit or 36V, 21 AH back pack power pack. QDoes it come with batteries? QHow long do the batteries last? AUp to 140 cuts with the 2.0 AH battery, or up to 1,400 cuts with the 21 AH back pack power pack. QHow long does the batteries take to charge? At first glance this saw is perfect for the requirements of both homeowners and those in landscaping professions. However, it’s not a popular model due to the cost of the batteries and chargers. The chainsaw itself is on the higher end of the market, and its price is a deterrent for those genuinely interested in a powerful and reliable chainsaw. However, because the chainsaw doesn’t come with the batteries or charger, it makes it an even more unaffordable option for many homeowners. This saw is clean running, powerful, requires minimal maintenance and is very safe to use, but its market is very small. It’s not the best deal on the market, nor is it for sale at a reasonable cost for what the consumer could get. Other products in comparison have a lot more to offer. Check out what other people who purchased this product think about it. Read Hitachi CS36DLP4 cordless electric chainsaw reviews. Where are Hitachi chainsaws made? 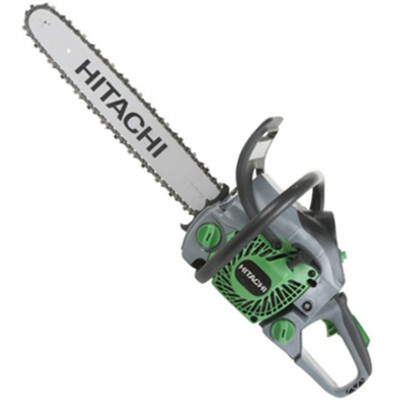 Where do you buy Hitachi chainsaws? You can buy Hitachi chainsaws both online on websites such as Amazon, and through leading retailers around the world.